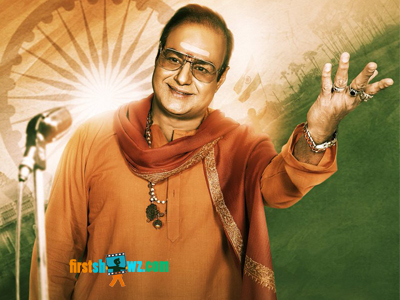 Bala Krishna looks like mirror image of his father NTR in the first look poster released by the team of NTR Biopic. In fact NTR Biopic First Look Poster looked legendary, and Balakrishna’s mannerism in the pic takes us back to 80’s of Nandamuri Taraka Rama Rao's political speeches. Bala Krishna has sported saffron costumes and his mannerism like NTR in the poster makes you look at him once again, confusing you with NTR. The team including Bala Krishna and Krish efforts on this legendary movie can be seen. NTR Biopic stars Bala Krishna, Vidya Balan and has Rana, Sumanth, Naga Chaitanya, Mahesh Babu in key roles. The movie is slated for a grand release during Sankranthi 2019.